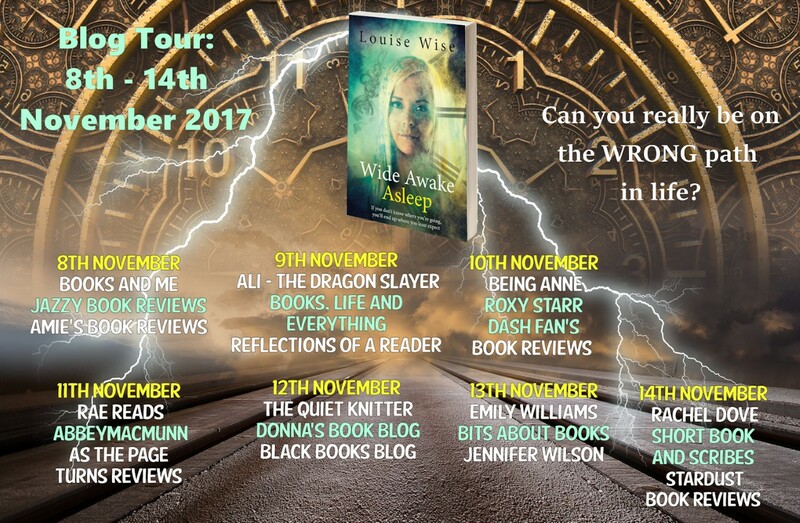 Extremely delighted to be taking part in the Blog Tour for Wide Awake Asleep by Louise Wise - thank you all for stopping by and joining me! Hope the info and my review will have you itching to get yourself a copy of this terrific time travelling tale!! If you could go back and change things, would you??! Can you really be on the WRONG path in life? No one knew she was driving on that stretch of road. No one saw her car leave the highway and crash into a watery ditch. No one heard the car’s windscreen smash or saw the tree branch come through to impale her to her seat. No one heard her screams. 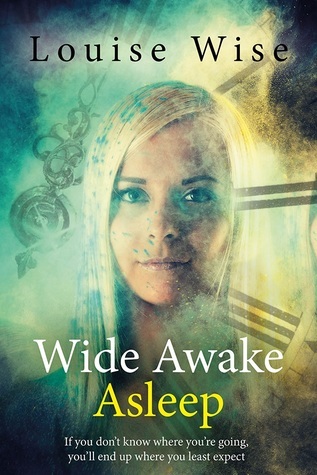 Julie Compton’s life should have come to an end that day, but instead, that moment was the beginning of her new life as she wakes, unharmed, back in 1972 and primed to relive her traumatic childhood all over again. One flaw. She’s in the body of a stranger. Journey back to the 70s and 80s England where Julie is forced to jump through the eras, occupying and controlling other people’s bodies she knew as a child. She must work out which destiny path was the wrong one all while wondering if her body, back in 2016, was dying in her car. With each momentous change, her memories transform and she realises she’s not only changing her future but of those around her. She’s finally ‘living’ but does that mean she must die? 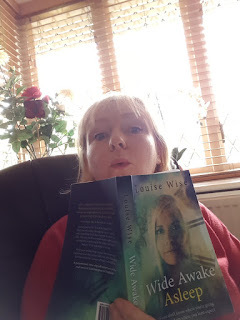 Louise Wise is a British writer and has been weaving stories all her life—and for many years, she was a 'closet writer' with a cupboard is full of ageing manuscripts depicting fantastical romantic adventures! She loves hearing from her readers - the good, the bad and the ugly stuff they want to share! I was surprised by this book - in a good way! The thought of a time travel book is always a little unsettling as to how it will be approached, but the way this author dealt with it was clever and engaging and I found myself unable to wait to see where the character, Jules, would end up next in her past. Julie Compton is in 2016 - life is going pretty well for her, aged 49 - and then disaster strikes as she's in a car crash. This begins her journey back into her past and she gets transported back to the 1970's and 1980's in an effort to see things that happened to her from different perspectives in an effort to save herself and others from taking the wrong paths. I loved the 80's references and many bought a wry smile to my face, and it was just fascinating to see Julie going back as different people in her life so that she could see her life from their point of view which made for an interesting take on things she thought she remembered. It really makes you think about what things you'd like to change from your past if given the chance, and how your actions affect those around you too. An easy to read, enjoyable book! 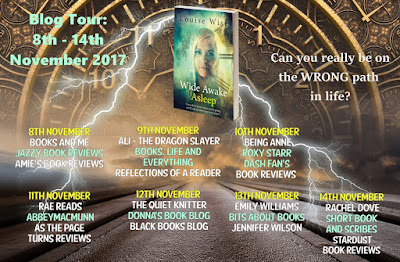 Please check out the other stops on this Blog Tour for more thoughts and information! !